So one of my friends and business associates Tom Petty of Livermore, CA (no not the rock star Tom Petty) has been posting a blood drive event every couple months now for a long time on Facebook. I kept seeing the postings and just figured I wasn’t eligible because of the medication I am on. Turns out I can donate. I was a little scared giving my prized blood away, but I pressed on. I walked into his church where the American Red Cross was setup for the blood drive. I was greeted by a friendly RN Registered Nurse who gave me a small pamphlet to read to make sure I was eligible. Tom Petty made sure to talk to the staff and asked them to make me feel extra special since it was my first time donating blood. They did a wonderful job. I was taken into a small portable room where my vitals (blood pressure, temperature, & heart-rate) were taken. They pricked my finger to get a drop of blood to make sure I had enough iron in my blood to donate. Then they set me up on a computer to answer some health questions. Things like if I’ve ever slept with a male, have HIV, Hepatitis, my travel history outside of the United States, etc. Apparently mt health history all checked out and I was escorted to a nice little bed with about 8 others in the same room who were donating their blood as well. A vampire would have been in heaven. So no one told me how big this needle would be. I don’t want to scare anyone from donating blood. But this was the biggest needle I have ever seen and when I say big I mean THICK. I would have loved to see my face when I saw that needle. I wanted to run for the door. Really I did want to. Did I say I’m not a big fan of needles yet; especially BIG ones? Anyways, the needle went in. No big deal at all… It only took about 5 minutes for the actual blood donation part. Near the very end I got a bit light headed and thought I might pass out. They had me lay down and they put a cool wet cloth over my head for about 5 minutes. After that I was fine. After that you go over to the candy and juice station and fill up on some snacks and hang out for about 15 minutes to make sure you are good to go and not too woozy. They said no alcohol for 24 hours and be sure to drink extra water and electrolytes like Gatorade all week. They also recommend taking a bit of an Iron supplement or making sure to eat additional iron rich foods all week. No exercise or heavy work for 24 hours, and for the next 1 – 2 weeks you’ll be a bit tired. So if you are an athlete and have some kind of competition to be in don’t donate 2 weeks before your event. You will be a little run down. If you want the complete list to see if you are able check out this link. Half of Red Cross donors male, and half are female. 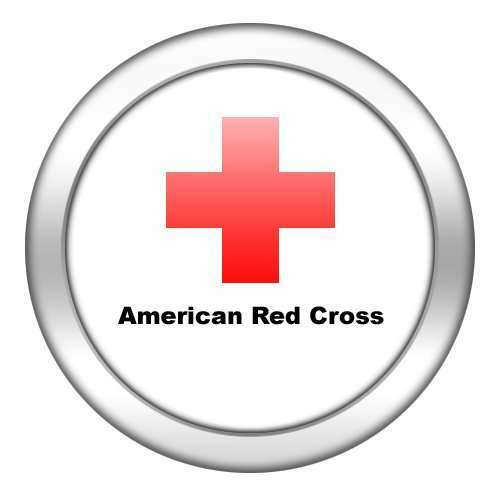 The American Red Cross accepts blood donations only from volunteer donors. 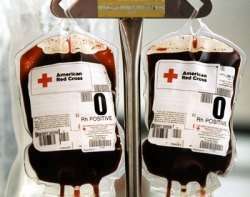 Among Red Cross donors in a given year, 19 percent donate occasionally, 31 percent are first-time donors, and 50 percent are regular, loyal donors. Forty-five percent of people in the U.S. have Type O (positive or negative) blood. This percentage is higher among Hispanics – 57 percent, and among African Americans – 51 percent. This entry was posted on Tuesday, August 28th, 2012 at 11:13 PM	and is filed under Misc.. Both comments and pings are currently closed.